The East of England was a major centre for the Royal Air Force and the US Air Force during the Second World War and there are museums reflecting this. However, a wide range of interests are covered, such as water pumping stations, gas works, traction engine builders and industrial railways. The Steam Heritage Guide includes contact details, opening times and description of preservation and heritage attractions across the East of England region including Bedfordshire, Cambridgeshire, Essex, Norfolk, Suffolk and Huntingdonshire. Ongar Station, Station Approach, Ongar, Essex, . Old Buckenham Airfield, Abbey Road, Old Buckenham, Norfolk, NR17 1PU. Coalhouse Fort, East Tilbury, Tilbury, Essex, . Sheringham Station, Station Approach, Sheringham, Norfolk, . Page's Park Station, Billington Road, Leighton Buzzard, Bedfordshire, LU7 9TG. 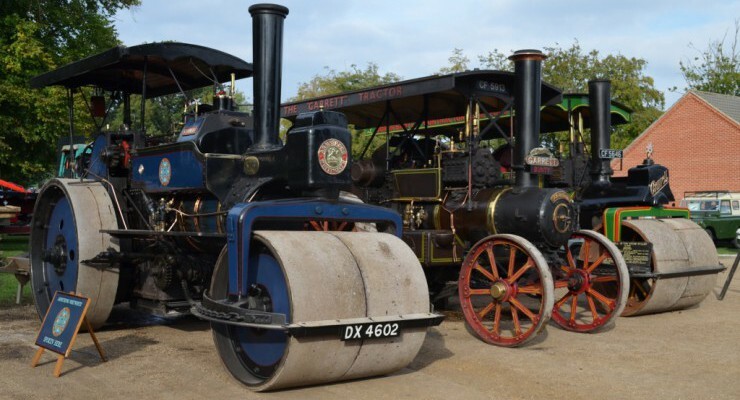 Bressingham Steam Museum, Low Road, Bressingham, Diss, Norfolk, IP22 2AA. Old Warden Aerodrome, Nr Biggleswade, Bedfordshire, . East of England Showground, Alwalton, Peterborough, Cambridgeshire, PE2 6XE. Stradsett Park, Stradsett, Kings Lynn, Norfolk, PE33 9HA. Old Trolleybus Depot, Cobham Road, Ipswich, Suffolk, . Brockford Station, Wetheringsett, Stowmarket, Suffolk, . Low Road, Forncett St Mary, Norwich, Norfolk, NR16 1JJ. Ely Road, Waterbeach, Cambridgeshire, . The Farmland Museum celebrates a milestone birthday in 2019 – we’re 50 years old! Mill Close, Burwell, Cambridgeshire, . Old Norwich Road, Horsham St Faith, Norwich, Norfolk, . Mill Field, 89 St Mary's Lane, Upminster, Essex, . Sparrows Hill Livery, Sparrows End, Newport, Saffron Walden, Essex, CB11 3TU. Stotfold Water Mill, Mill Lane, Stotfold, Bedfordshire, SG5 4NU. Tel: 01462 734 541 . Wansford Station, Stibbington , Peterborough, Cambridgeshire, . Mid Suffolk Showground, Stonham Barns, Pettaugh Road, Stonham Aspal, Suffolk, IP14 6AT. Dereham Station, Station Road, Dereham, Norfolk, . Mill Road, Pakenham, Bury St Edmunds, Suffolk, . Low Road, Bressingham, Nr Diss, Norfolk, . A variety of displays, musical entertainment, living history groups, vehicles and stalls.